Every now and then users see a blue screen on their computer running Windows operating system which prevent them from getting into Windows. This blue display is the most common error that every windows user must have encountered. The error is BSOD (Blue screen of death) also known as stop error which indicates operating system has stopped working safely. 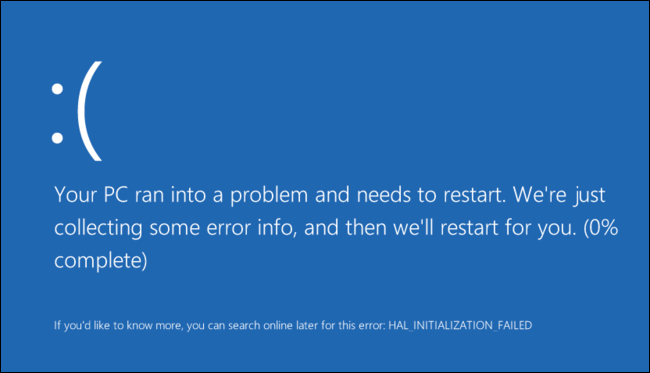 In this article I will elaborate what exactly BSOD is, and what can cause this blue screen. In Windows operating system, Blue Screen of Death is displayed when fatal system error has occurred. This fatal system error is also called system crash, stop error, bug-check, or kernel error. Furthermore, Windows OS gets halted by the error and cannot work safely anymore. Hence, only blue screen can be viewed with error codes in Windows NT family i.e. Windows 7, Windows 8, Windows 10, Windows Vista, Windows XP etc. Moreover, as the name suggest kernel-error, this error is basically occur due to problem has arisen in kernel and it cannot be recovered from the issue. In such situation, users need to restart the system in order to correct the problem. Every time when BSOD error occur, a file is created by the name memory dump. Memory dump is a file which keep entire data of physical memory (RAM) when system crashes, and the file gets stored in a hard drive so that it can be debugged later by kernel. This file has several formats with respect to different versions of Windows OS, like, minidump which is 64kB that introduced in Windows 2000. Blue screen contains error codes which can help you in determining the problem that causes blue screen of death error. To know what the specific code specifies you just need to google the BSOD error code. BSOD error may occur because of corruption in a hard disk so you need to check if the external or internal disk is working properly. You can run Check Disk utility, it will correct file system errors and recovery of bad sectors. There are chances that BSOD error occur because of recently installed hardware or software so users had better uninstall them to see if they cause the blue screen of death. Safe mode will help you in getting into Windows in limited state which further allows you to troubleshoot the problem either it is because of driver or any software. However, if users encounter BSOD error every time they try to start Windows then their hard disks are more likely to be corrupt. This situation will lead users to the data loss since they cannot access some of their files. In such cases, it is worth using a software called Windows Data Recovery which has an ability to recover permanently deleted, lost, or corrupt files from Windows operating system.